Professor and activist Angela Davis, born in Birmingham, Alabama, is best known as a radical African American educator and activist for civil rights and other social issues. She knew about racial prejudice from her experiences with discrimination growing up in Alabama. As a teenager, Davis organized interracial study groups, which were broken up by the police. She also knew several of the young African American girls killed in the Birmingham church bombing of 1963. Davis became known for her involvement in a politically charged murder case in the early 1970s. Influenced by her segregated upbringing in Birmingham, Alabama, Davis joined the Black Panthers and an all-black branch of the Communist Party as a young woman. She became a professor at UCLA, but fell out of favor with the administration due to her ties. 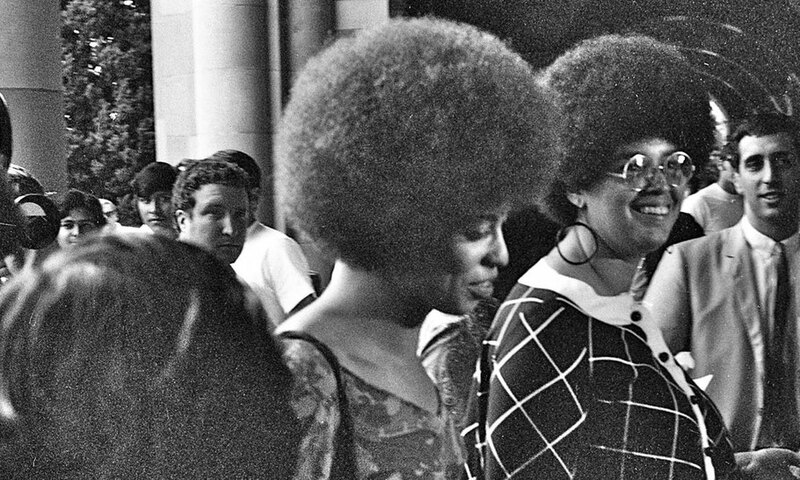 Davis was charged with aiding the botched escape attempt of imprisoned black radical George Jackson, and served roughly 18 months in jail before her acquittal in 1972. After spending time traveling and lecturing, Davis returned to the classroom as a professor and authored several books. Today, she is a professor at the University of California, Santa Cruz, where she teaches courses on the history of consciousness. Davis is the author of several books, including Women, Race, and Class (1980) and Are Prisons Obsolete? (2003).